(News Tribune) A task force created to focus on the needs of immigrants and refugees in Tacoma has recommended that the City Council spend $440,000 per year to establish a legal-defense fund for Tacoma residents detained at the Northwest Detention Center on the Tideflats. The money would pay for two attorneys and two paralegals who would represent people facing deportation, said Amanda Diaz, a member of the task force and student body president at the University of Puget Sound. Another option would be to spend half that money for one lawyer and paralegal to provide some measure of legal representation to detained people, Diaz said. The recommendation comes seven months after the task force was created and at a time of heightened awareness over federal immigration policy. Stepped-up deportation efforts that have come in the wake of President Donald Trump’s inauguration have created serious emotional and financial strain for many Tacoma families, she said. My street hasn’t been swept for years. When I tried to find out why, I was told that my area is not “on the list” because there are no longer enough machines and people to drive them. Services that I continue to pay for have been stopped. If there is enough money around to help illegal immigrants, surely there is enough to begin sweeping my dirty street again. 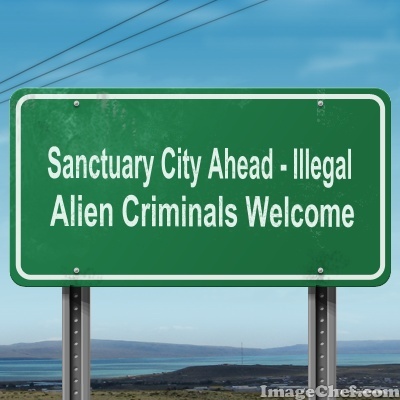 Shouldn’t citizens come before illegal residents? This could surely go on and on, but, the point is made: citizens of Tacoma, just like most cities, have problems that should come before protecting people who are unlawfully present in the U.S., who are, at a minimum, trespassing.